I’m wandering through one of my favorite junk stores the other day….and what do I stumble upon? and it looks like ……. 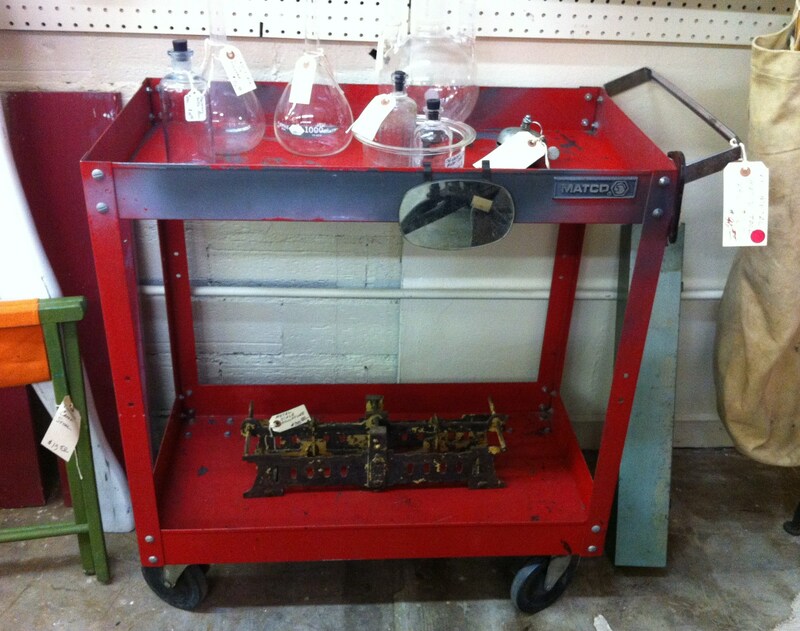 I found the original version of our Harbor Freight and Tools bar cart. The price you ask? 75 Bones, Exactly the same. I almost like the vintage one a slight, teeny-weeny, bit more. 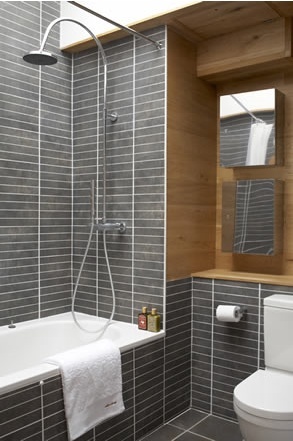 Except……it doesn’t have the drawer for glasses and bar naps, or the stoppers on the wheels. We’ll stick with the one we have, Thank you very much. I Googled “Matco Tool Cart” and found that they make a pretty impressive amount of cool tool boxes and carts. Not that we need any more right now. We went back to Harbour Freight a few months ago and got a huge rolling tool cart for the garage. (Of course now when someone steals our tools from the garage, they can just roll the whole shebang down the alley with ease) I plan on showing off that organizational obsessiveness in a later post. 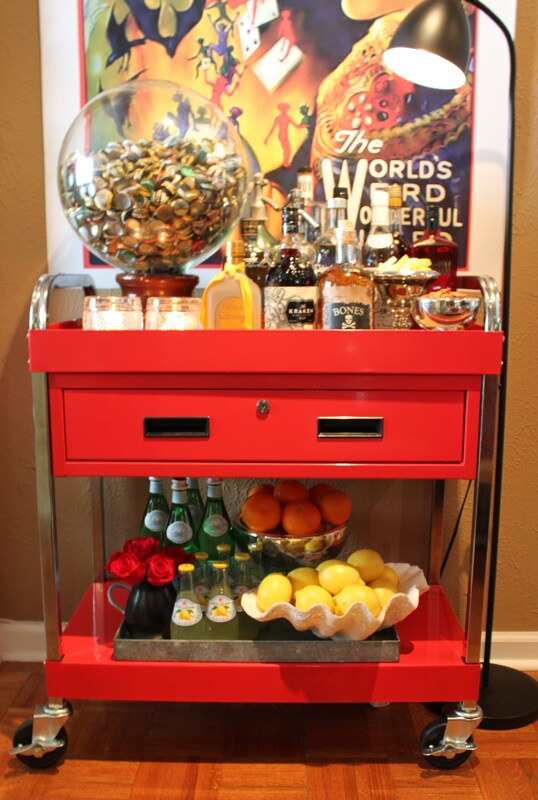 Back to our bar cart. Here’s a great chance to highlight that big glass ball filled with “Shamefully” collected beer bottle caps. Yeah…I drank pretty much every one of those bottles of beer. Except the Bud Light…that’s really more water than beer anyhoo. There might, possibly, be a couple of Jamie’s Coke caps in there. But who are we kidding? That’s a heck of a lot of beer. It’s kinda cool the way the demons in the Carter the Great poster seem to be flying out of it. Symbolic even, one might say…. We also found a place for the giant clam shell we picked up on our day trip to Key West last month. I’ve wanted one for years and finally found one for a decent price. (under 30$). It’s not nearly as big as I would have wanted,…….. and still want, and will have one day…….. but at least it’s not resin. I just have to keep it stocked with lemons for the rest of my life. If it will alway looks this good, that won’t be a problem. 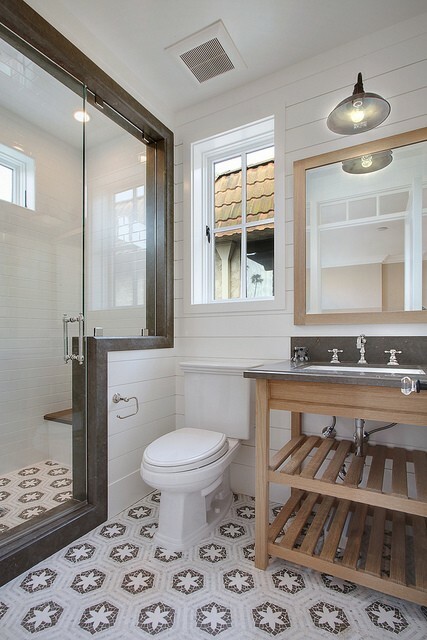 My love of plumbing pipe has very few limits. Last year, we used it to make a rolling log holder for our den that just swept the internets. 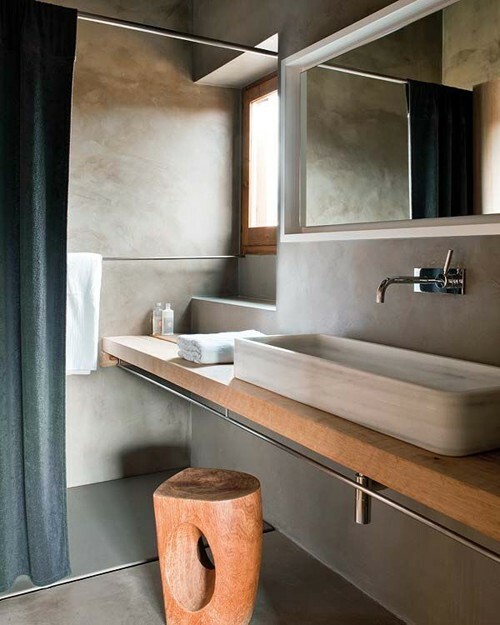 Maybe it’s because I am drawn to loft-like urban spaces with exposed brick, huge factory windows, and cement floors. Plumbing pipe just fits in these kinds of places. With a 10 foot ceiling, concrete floors, and an exposed brick wall (actually the back of the fireplace), our garage is the most loft-like part of the house….and the perfect place to utilize our love of this inexpensive utilitarian material. 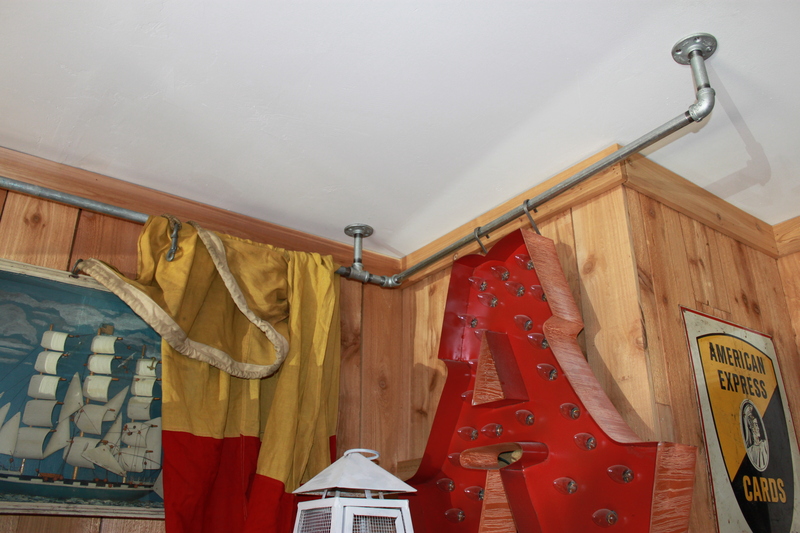 We already showed the plumbing pipe we hung on the wall to hang tools. 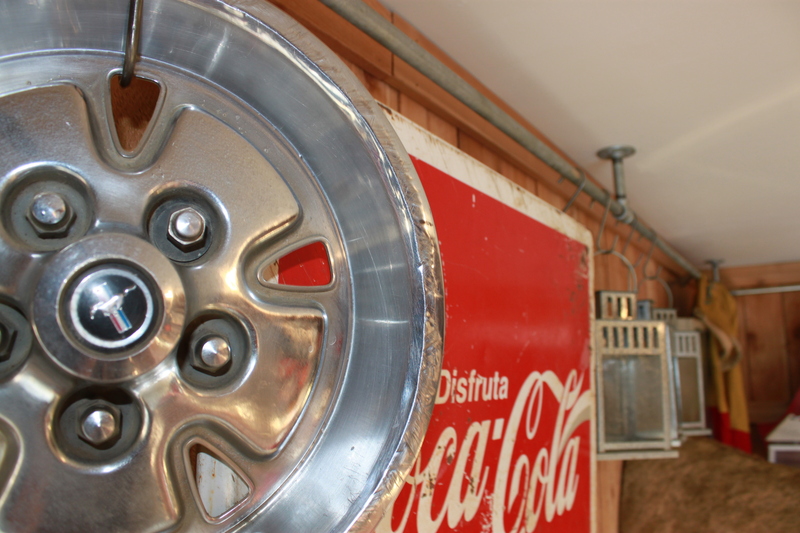 Here are a few more pipe projects that we did to “Amp Up” our garage functionality. Plumbing pipe is oiled, so it’s easier to thread together. I’m pretty sure that we don’t want that oil staining all our nice coat and hats. 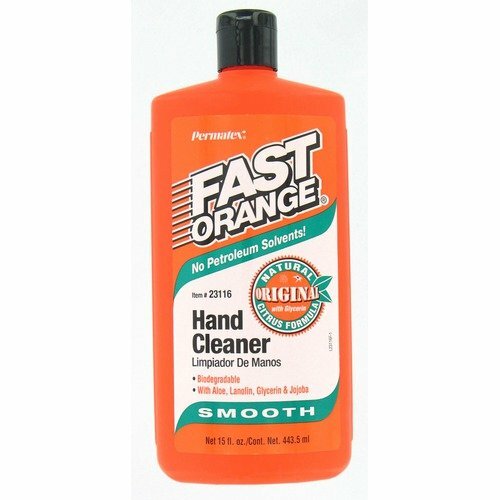 To remove the oil we washed all our pipe parts with Fast Orange hand cleaner. This stuff is just amazing at removing grease and oil. My brother Josh introduced me to it after working on my greasy, oily car. It has just the right amount of grit and a pleasant citrus smell. I picked some up at an auto parts store. Pretty sure it was about 2 dollars. 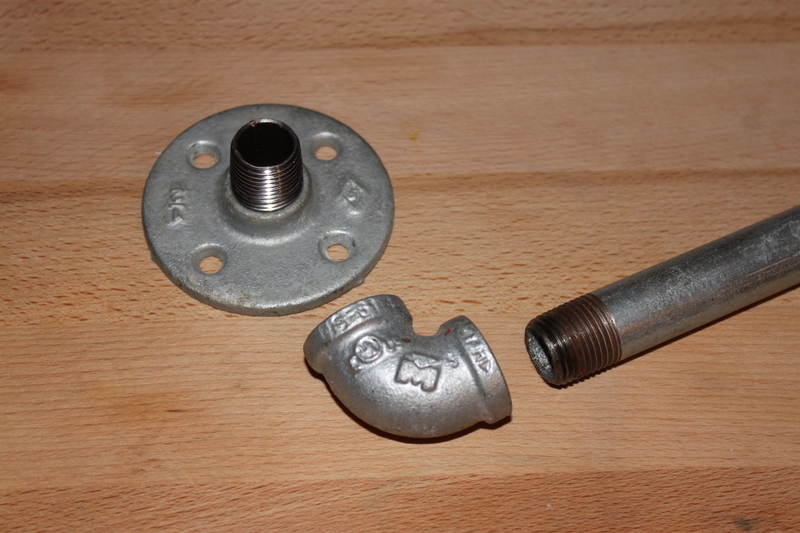 For coat/hat pucks we used a flange, a 1″ threaded connector, and a cap. Because they aren’t going to hold anything really heavy, we just attached them with screws. We’d use butterfly screws if they needed the extra support. 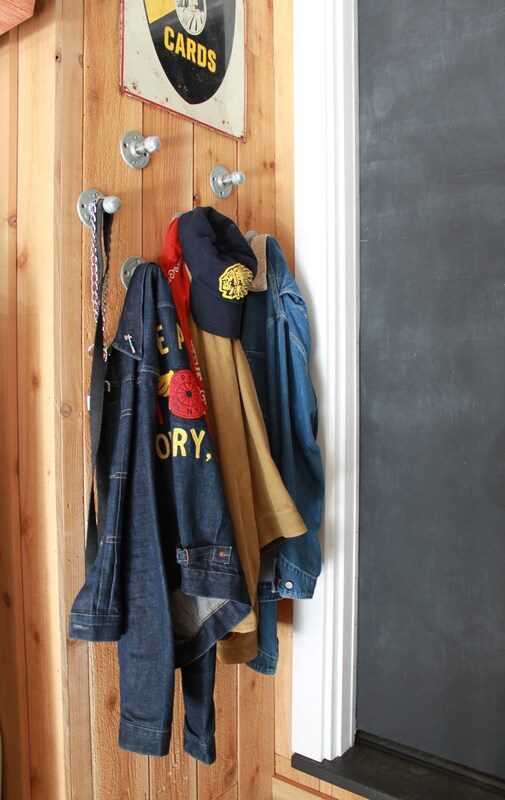 Now we have a convenient place next to the backdoor for coats, hats…and a dog leash. Space is a premium in our garage. Because the washer and dryer are in there, it only seems fitting that our unused clothes hangers would end up there as well. The underside of the cabinets is the absolute perfect place to keep them. Close by, and out of the way at the same time. 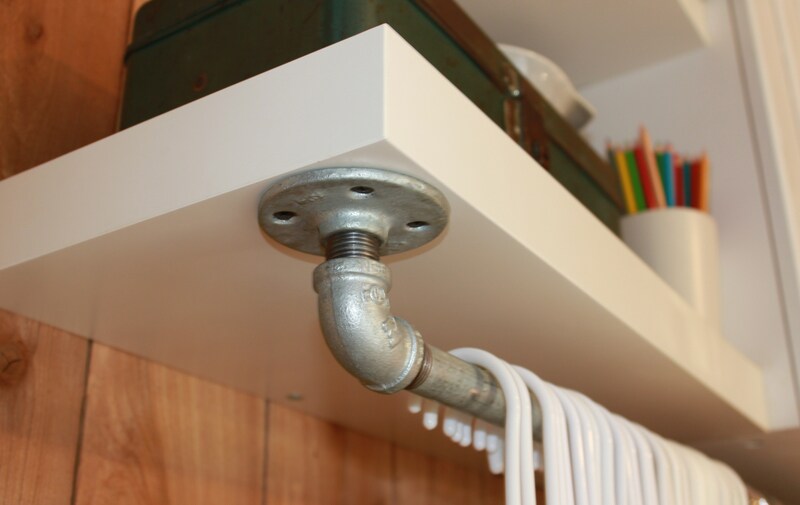 For this project we used elbows, as well as flanges, and 1 inch completely threaded connectors (because we wanted the pipe to be as close to the underside of the cabinet as possible). Plumbing pipe comes in a pretty big assortment of precut sized, but unfortunately, 12 inch increments aren’t always the sizes that we need. Not a problem, the Big Box stores will cut it for you, and rethread the new cut end, while you wait. Any size at all. 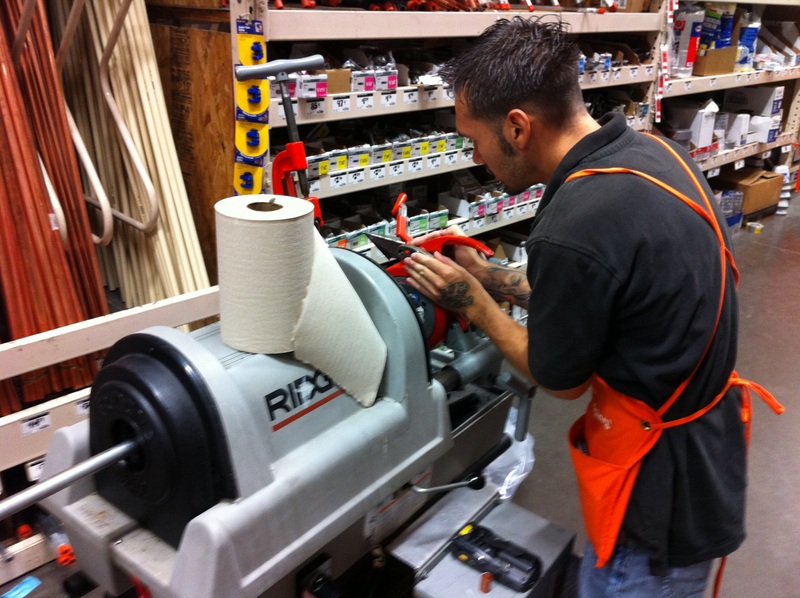 Here’s Raul cutting my pipe at Home Depot. He always helps me with my issues. I can’t be sure, but sometimes I think he tries to avoid me. I can’ t imagine why…….I’m his best customer. Again, we just screwed this on with screws to the underside of our upcycled cabinet. I’ve always loved the way plumbing pipes hang from the ceiling in industrial lofts. 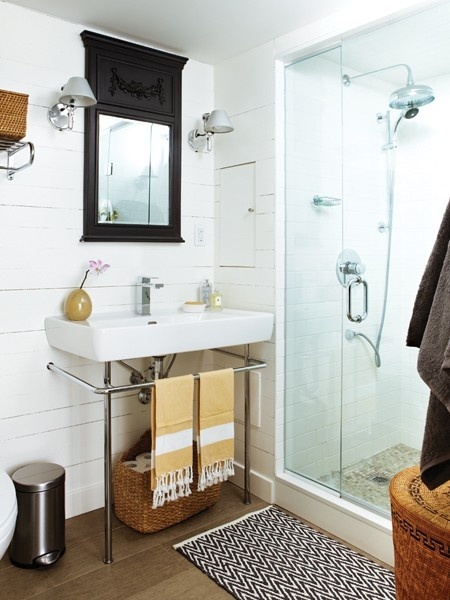 I used these galvanized pipes for curtain rods in my last house, and had a few left over that didn’t fit anywhere in this house. So hanging from the garage ceiling it is. 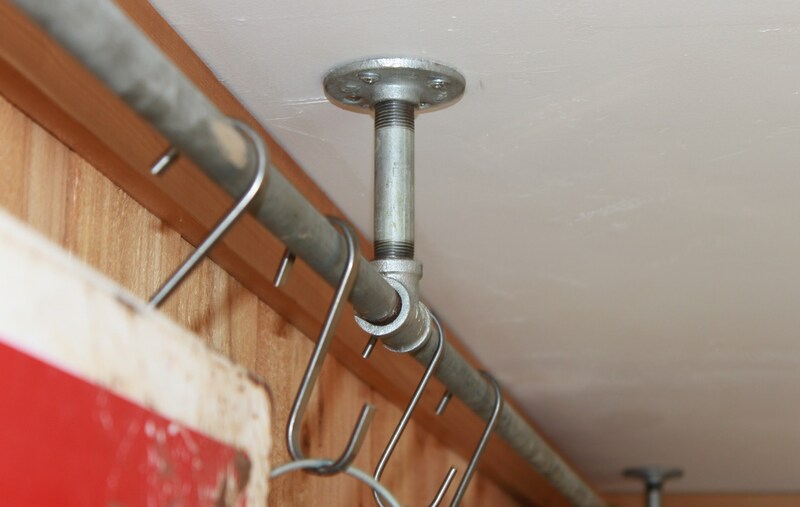 Because they are hanging straight down, and likely to hold heavy things, we used butterfly screws for this project. First we connected all our pipes and pipe fittings, knowing that we wanted a 4 inch drop from the ceiling. 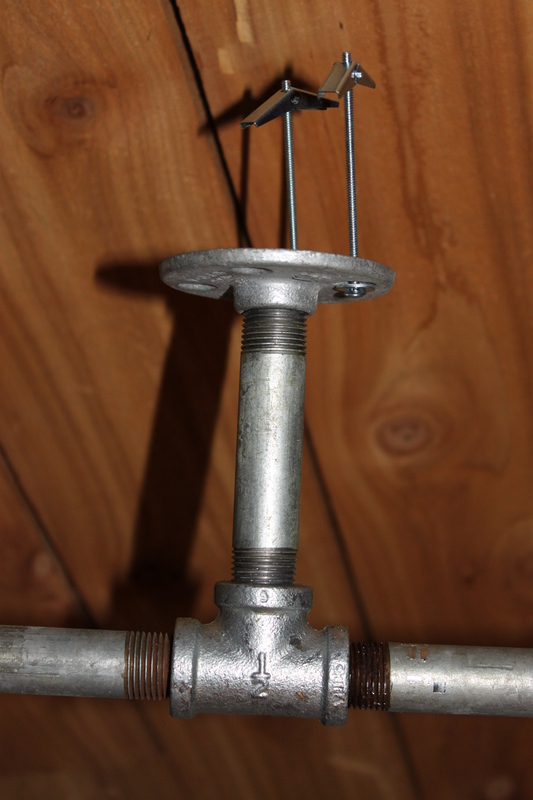 With Jamie on the scaffolding, and me on top of the refrigerator, we held our 16 feet of connected pipes to the ceiling and marked where the holes in the flanges were. Here’s a tip we’re glad to pass on. You know those plastic liners that nurseries sell to put under house plants? 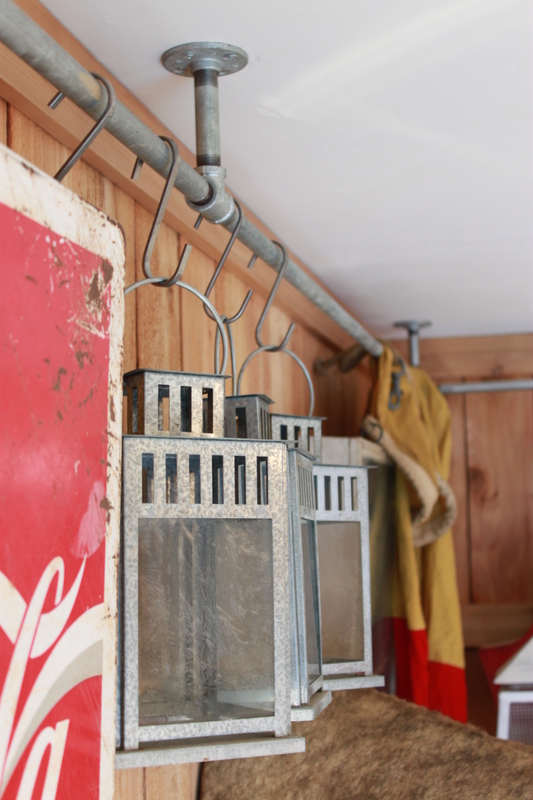 They are perfect for collecting dust when drilling holes in the ceiling. 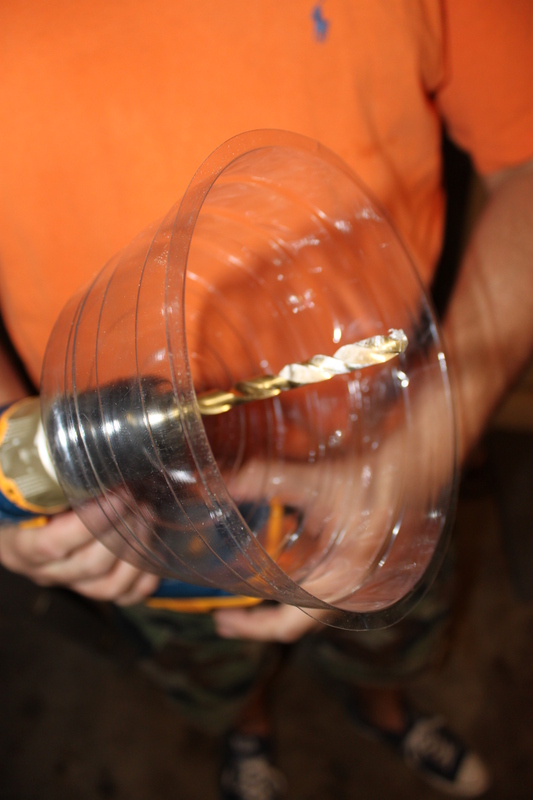 Simply drill a hole in the middle and slip the drill bit through it. Now when I drill my ceiling holes for the butterfly screws, all the dust and drywall bits collect in the plastic liner. Brilliant. I know, I know…and only about 75 cents. 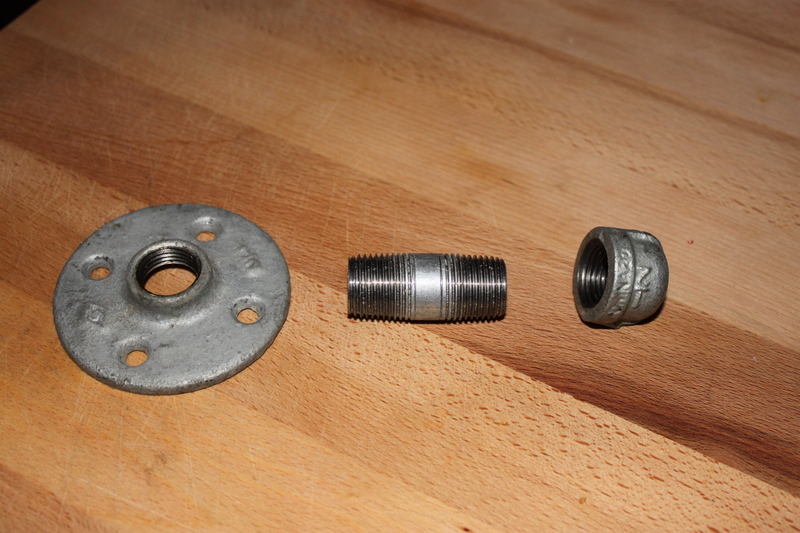 We slipped the butterfly screws through the holes in the flanges…. 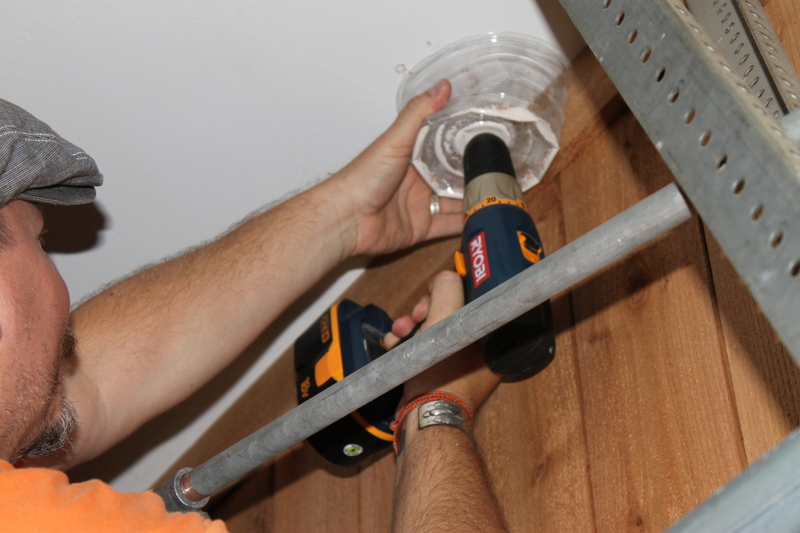 …and tapped them into the corresponding holes in the ceiling. 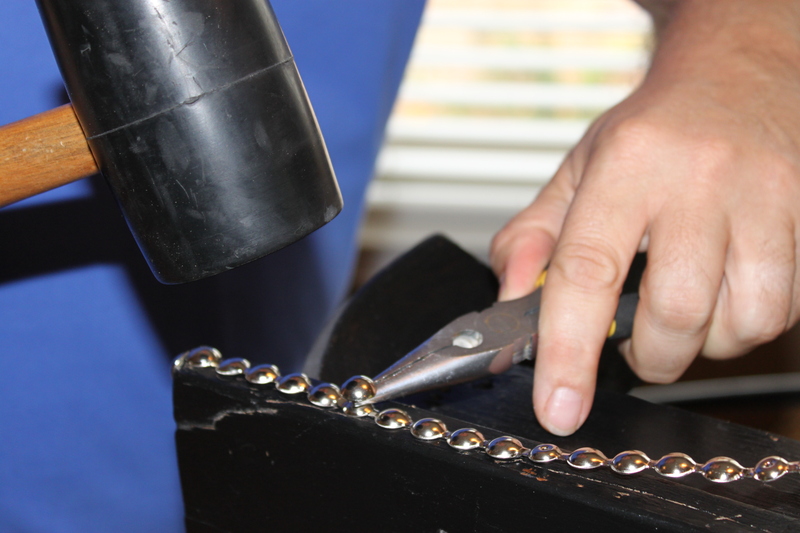 Then we tightened all the butterfly screws with the drill. We had enough left over pipe (a 6 foot pipe and 2 – 5 foot pipes) to hang on the entire left side of the garage, over the new tool cabinets. Now all that stuff we had covering the floor…….has somewhere to hang. 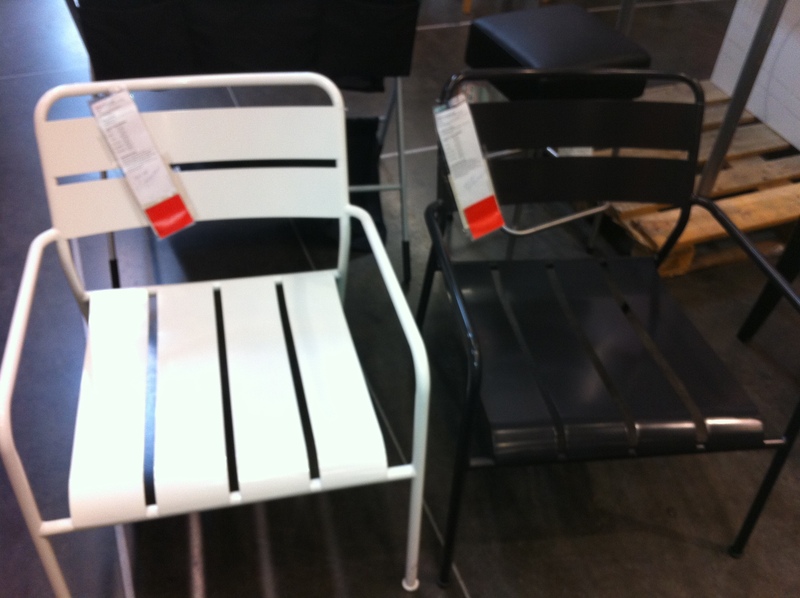 And speaking of Ikea, we are Always speaking of Ikea, how about these awesome metal chairs in the “Dinged and Damaged” section? 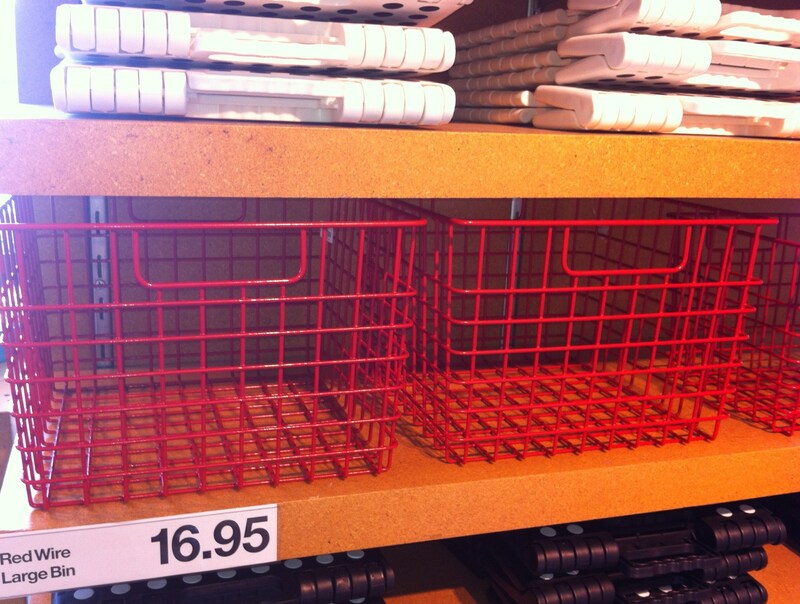 (slightly blurry iPhone pic) We love a clearance price….AND couldn’t find any dings or damages on them. “Too bad we don’t need 1 white chair and 1 black chair,……… if only they were the same color”. I’ll bet that was what everybody that passed them up was thinking. While we clever boys were thinking, “Remember that brown satin spray paint we used on the under-eaves lights?” You can see it Here. Yeah, I guess it was over a year ago that we put some effort into our patio and got that $150 patio set from the Walls-Mart. It held up pretty well, I suppose. It was cheap, so no loss in replacing the chairs with some we really like. 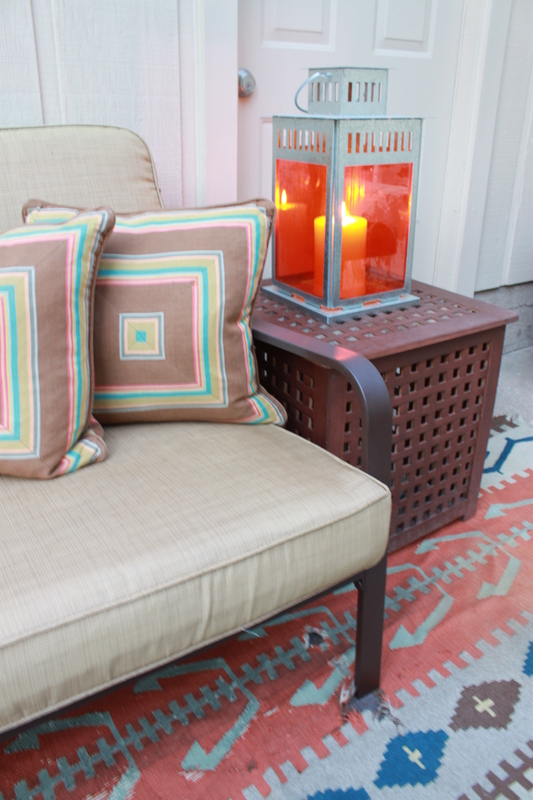 The cushions are a little sun-bleached, but it’s ok. Those lattice cubes from Ikea, little spotty too. ‘Prolly cause they aren’t meant to be exposed to the elements. 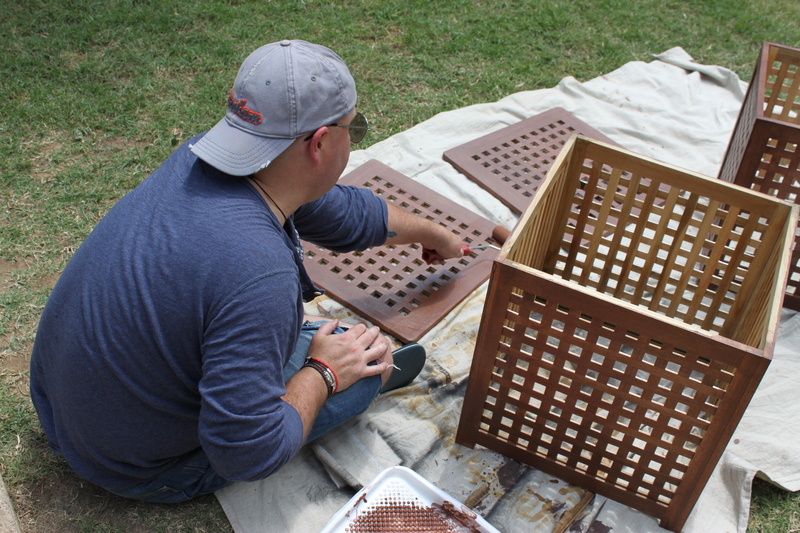 Well, Jamie fixed those lattice boxes with the same russet stain we used on the fence. 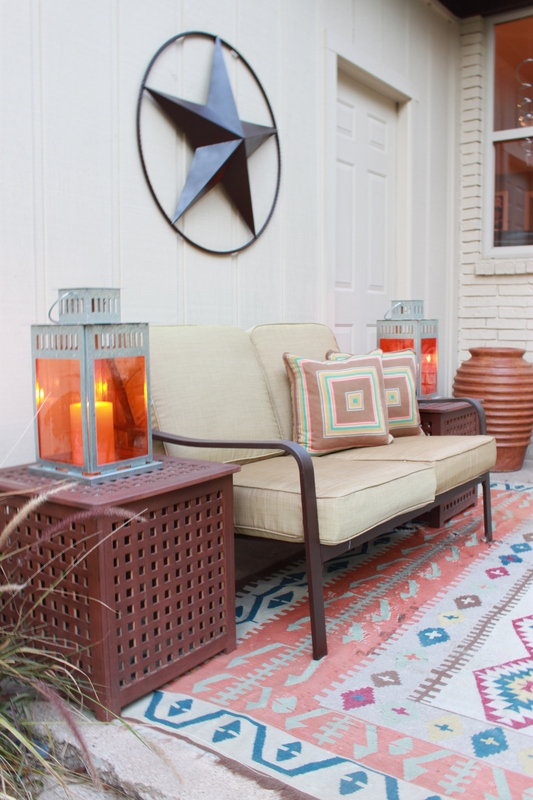 One small project led to another small project, and soon our patio looked like this. The loveseat and barn star got fresh coats of satin spray as well. Now all the faded metal ties together nicely with the new chairs. But not Matchy-Matchy. 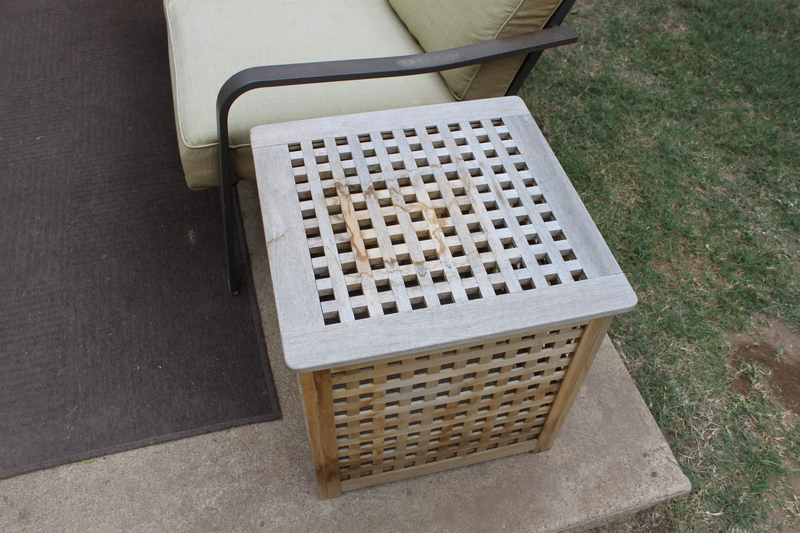 All those lattice boxes needed was a little stain…..Way, More, Much, Better…. 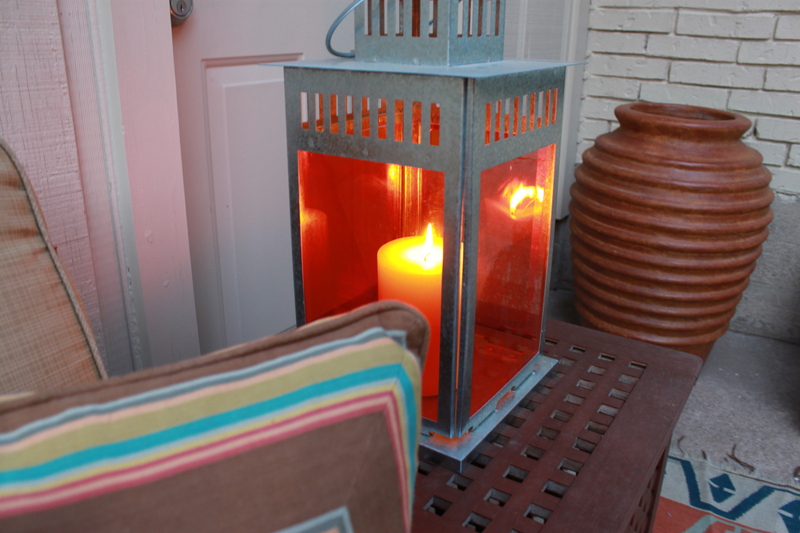 I’m sure that y’all remember when we used the orange theatrical gels on those galvanized lanterns. Also from, you guessed it, Ikea. 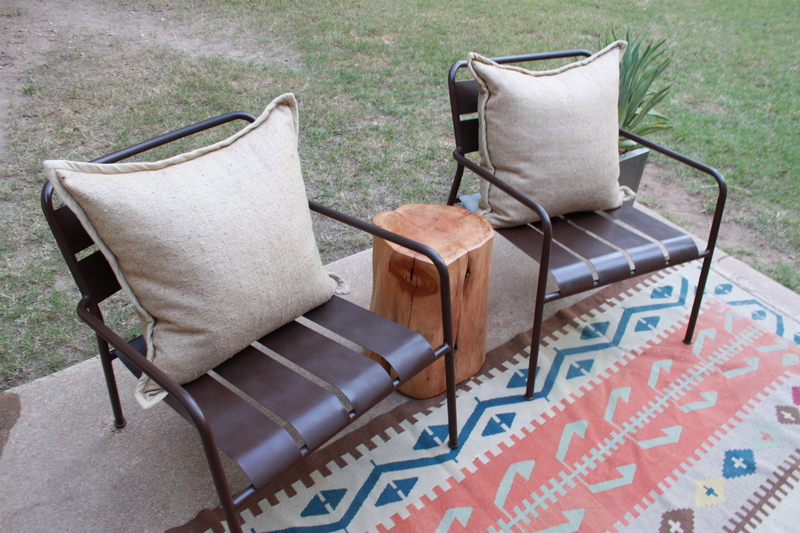 Usually we have an outdoor rug on the patio to soften the space, but when we have friends over, (or we are styling for pictures)…..out comes an old kilim rug. 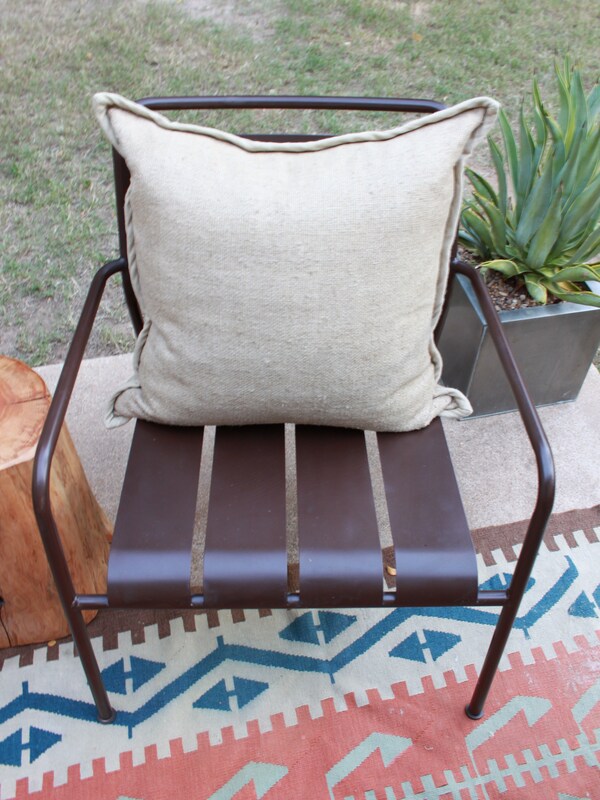 Those chairs turned out great…. 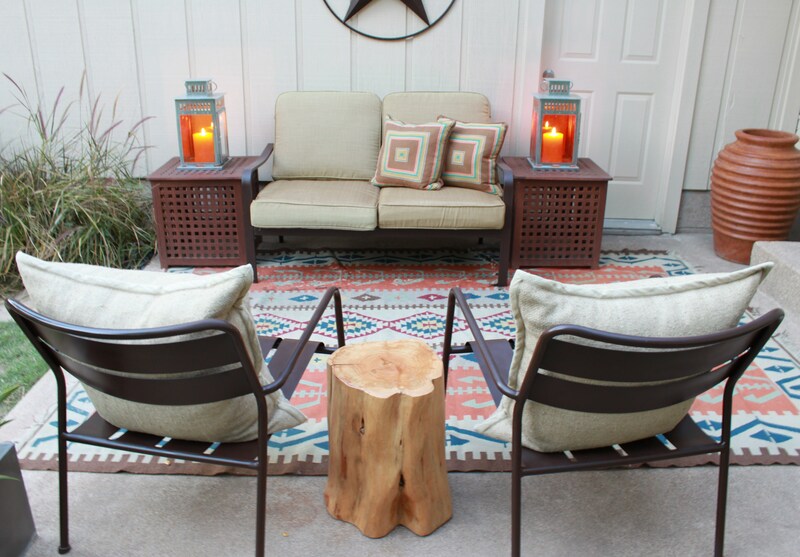 The chairs, lattice boxes, and lanterns all got customized. Now my brother has a great space to smoke in when he’s at our house……. 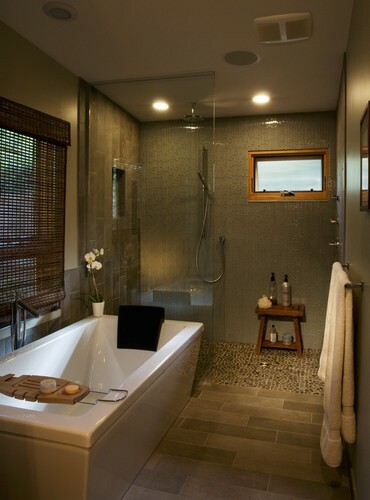 Been thinking about the bathrooms lately……..
Our kitchen is spectacular…….but the bathrooms? Eeehh, not so much. ………thought we’d share some of our favorite inspiration pictures with you fine folks. 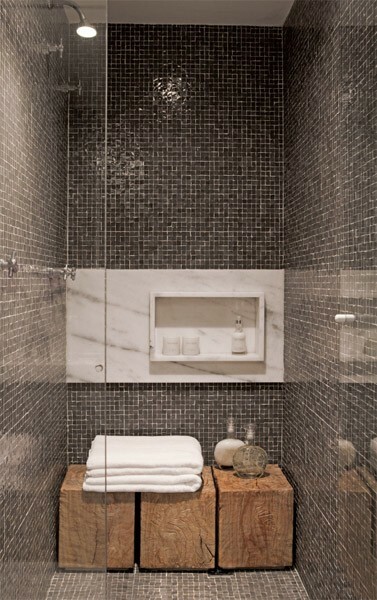 Slate floor, maybe subway tile walls to the ceiling, big sink, some concrete, open shower area, definitely some wood elements, and brushed stainless fixtures…..
As usual, Target continues to inspire. Our favorite of this Fall’s Target offerings come from the San Francisco based Curiosity Shoppe. The Curiosity Shoppe is owned and operated by Lauren Smith and Derek Fagerstrom. The pair left their super fun, kinda crazy lives in New York City and came home to the San Francisco Bay Area to start up the Shoppe for the simple reason that they were obsessed with beautiful things. They’re thrilled to be sharing the objects and ideas that delight and inspire themselves with as many people as possible. Whether it’s a favorite art book, a vintage find, a carefully hand-crafted piece of jewelry or a one-of-a-kind painting, they guarantee that everything you’ll find in the Shoppe is special. The person who dreamed it up gave it their creative all, and they love them for it. 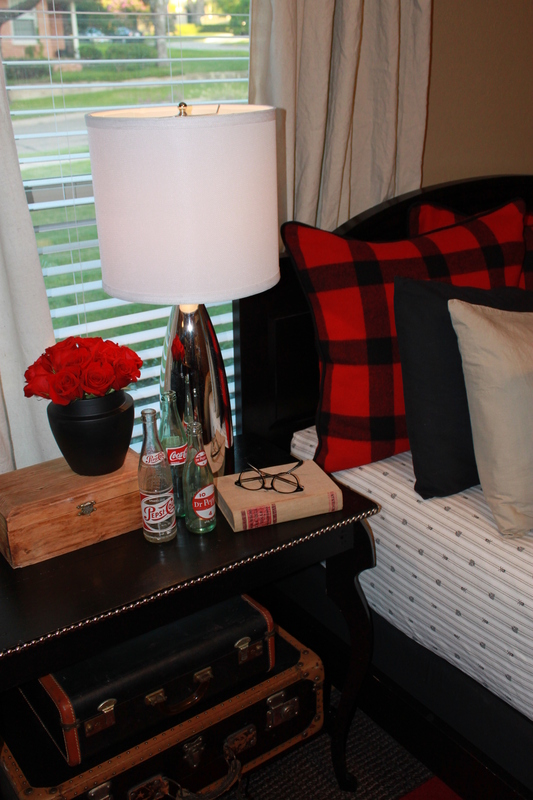 The collection that the Curiosity Shoppe has curated for Target is based on a vintage road trip. A few of our favorite, available online and instore, items are…. This cutting board shaped like our United States of America. We think it could be improved with a coat of “clear blue sky” chalk board paint and hung on the wall as a message board. These Awesome salad tongs…..I’m speachless…I just can’t begin to explain how cool I think these are…. We’re a little crazy about these Cafe Au Lait Mugs as well. They’re just the right size for soup. 6 bucks each, great colors, and who doesn’t like vintage graphics? We certainly do. If you do make it to San Francisco, I highly recommend a stop in this store. But if that trip is a little out of your regular shopping route, the Curiosity Shoppe has a website. Here are a few of the offerings from the website that tickled our fancy…. We also like this little ceramic soap dish. Maybe next to the guest room bed for keys and change. I’m really in love with these cork coasters. 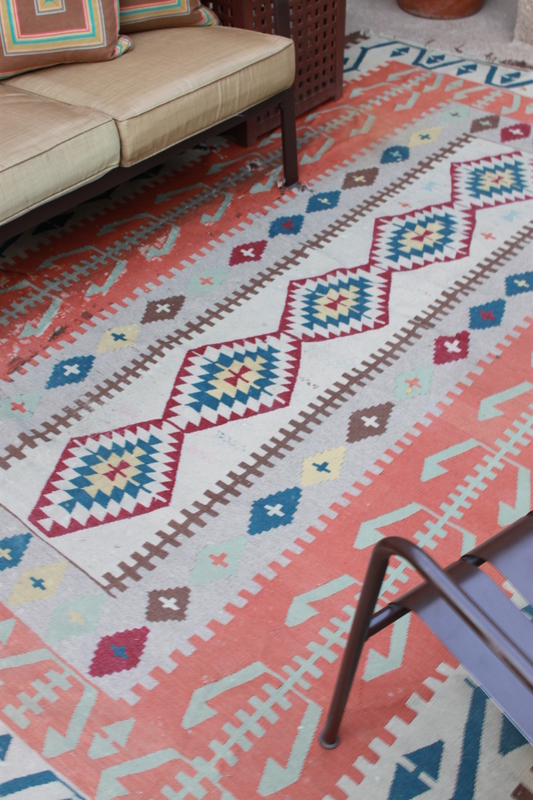 Could it be the Navajo prints?……..Could be. How perfect would this bottle opener be mounted on the wall next to the “beer fridge” in the garage? Pretty perfect, if I must say. Yeah, we’ll be placing some orders in the near future. We linked each picture to the appropriate site to purchase. Now start clicking and shoppe around a bit…..you’ll thank us. 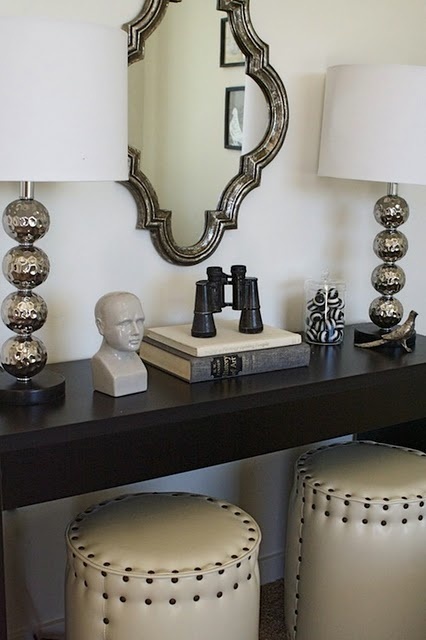 Here are a few pieces of furniture with nailhead trim that inspire us. 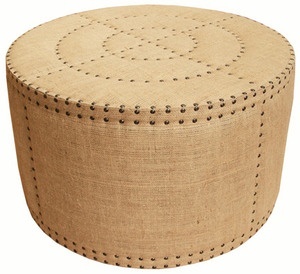 Well, we found a way to add that embellishment to any piece of furniture you already have. 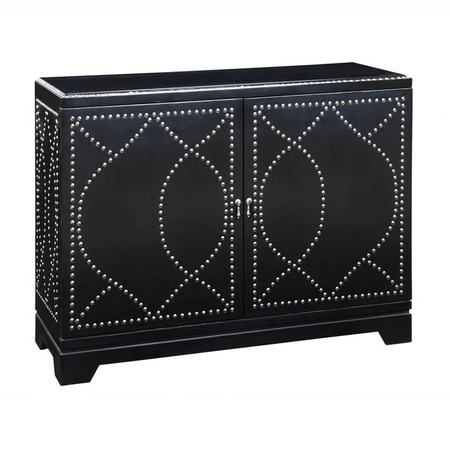 All you need is a nailhead trim studding kit from Beacon Fabric & Notions. 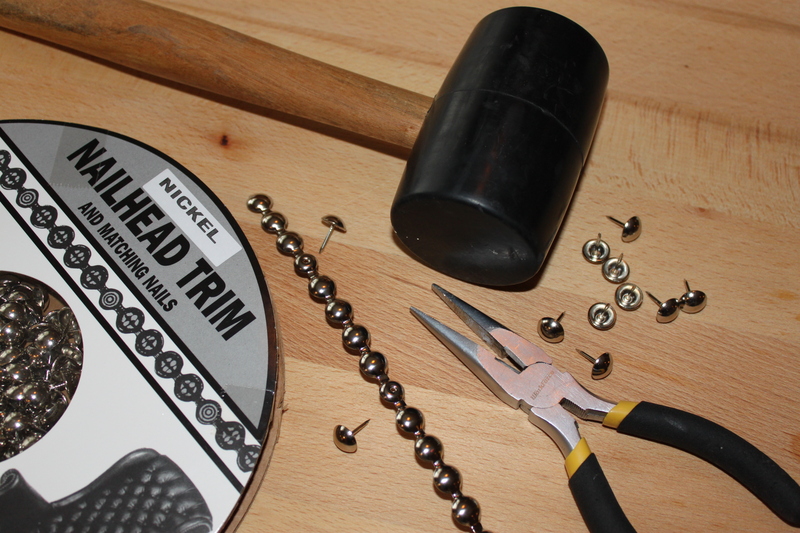 The tacks are available in Brass, Nickel, and French Natural (sort of a dirty brass)…..in 10 and 50 yard rolls. We choose the Nickel finish, it’s a shiny chrome. Although, 50 yards at $70 is a great deal if you are planning on using these all over your house, we bought 10 yards for $20. 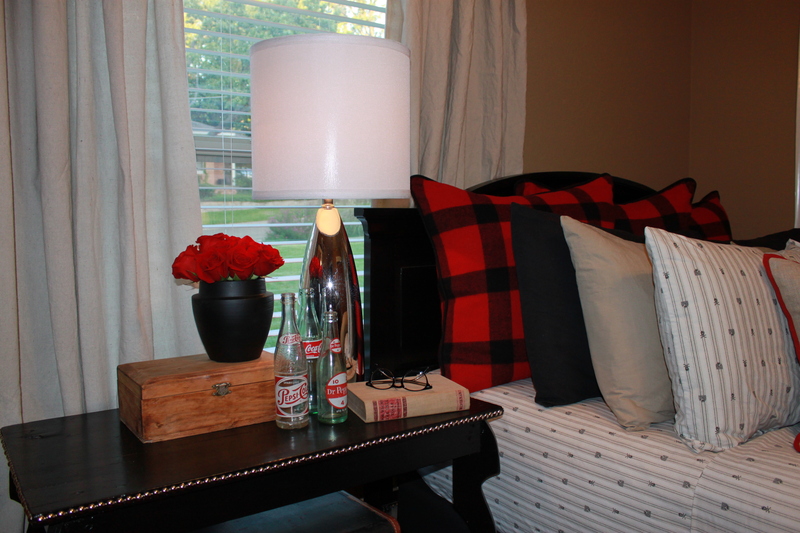 (10 yards will go pretty far) It seems like a bit of overkill to have silver studs on something in every room…. We also found the same kits at Perfect Fit Upholstery Fabric & Supplies, slightly cheaper, and with much easier checkout (to place an order with Beacon, you have to call or email them…there is NO checkout available on the website). But Perfect Fit only offers 10 yard rolls in Nickle and French Brass. So, it’s your choice of the lesser of two slightly inconvenient evils. 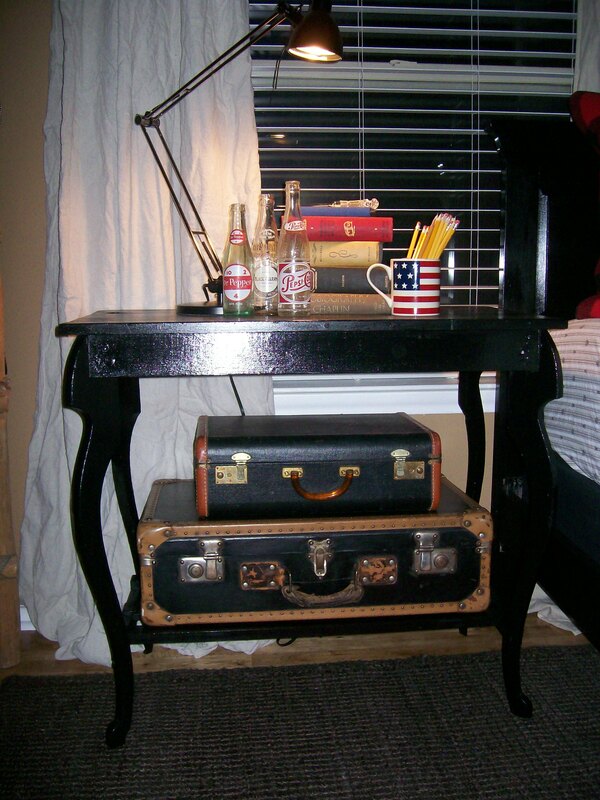 Years ago, a friend gave me this little desk, which I promptly painted Glossy black. It was rough, real rough. Our theory is that everything looks better painted black. Trust me, it’s wayyyyy nicer painted black. But it’s still a little “flat”. This is the perfect candidate for a little glimmer. Installation of the tack strips is so easy. All you need is a pair of needle-nose pliers and a rubber mallet. Don’t have a rubber mallet? 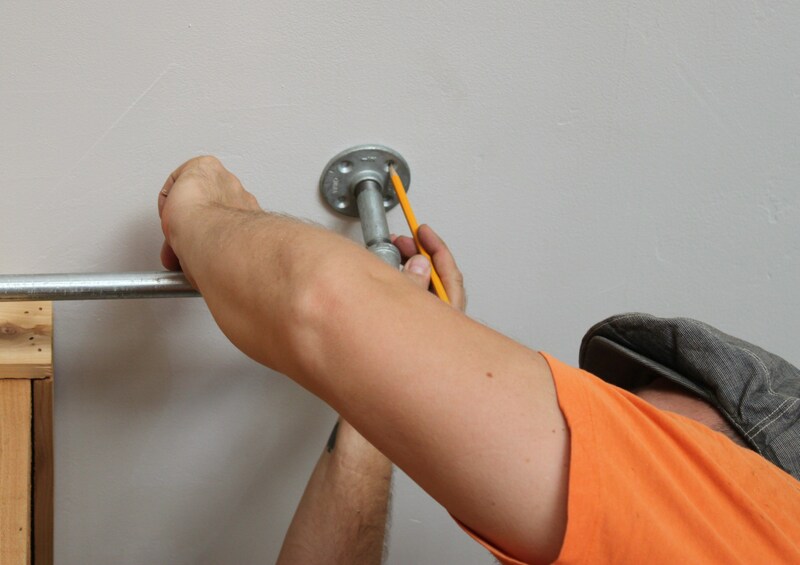 No worries, just use a rubber band to attach a piece of towel over the head of a regular hammer. 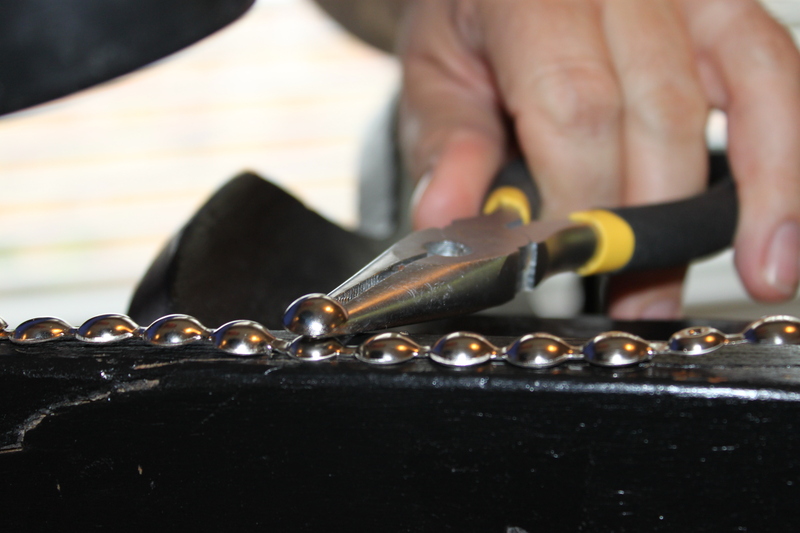 Now bang a tack into every hole on the strip….pulling it tight against surface of your piece. 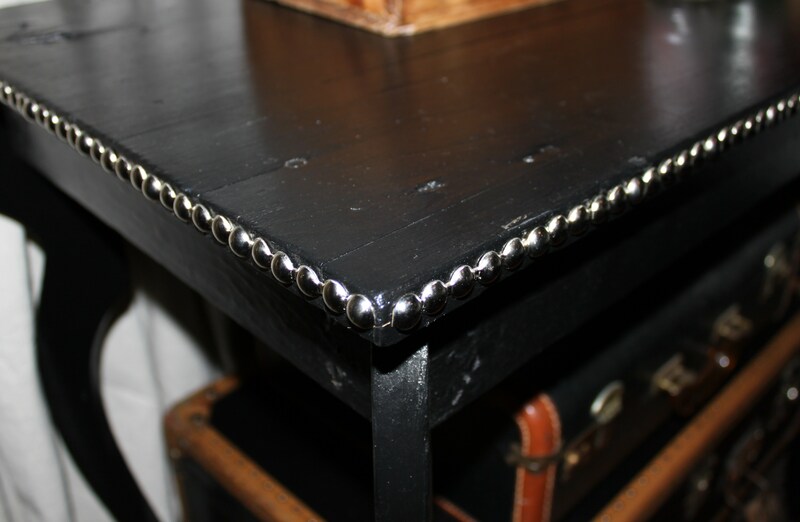 Always start, and end, your nailhead strip with a hole for a tack. If the strip doesn’t end in a hole. Cut it off where it does, and just use single tacks to finish your line. So easy, with just the right amount of impact. 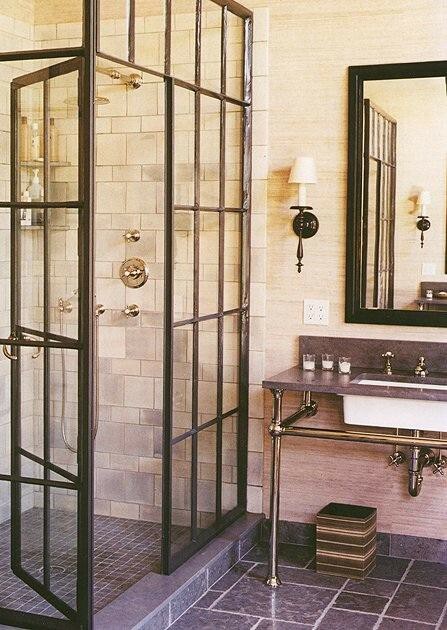 We could do this on a headboard, picture frames, upholstered chairs……or even framing a mirror. I could go on and on. Maybe the next piece will have a more intricate pattern. I guarantee, if you look around your house right now, there is some piece of furniture that will look so much more amazing with this little detail. 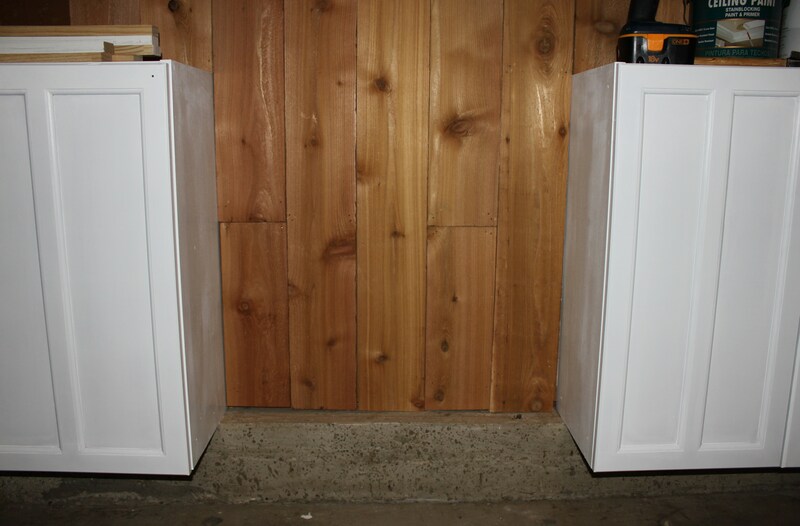 So we mounted our old cabinets on the garage wall, and they didn’t quite strech over all the wall space we were hoping for. Not to worry. 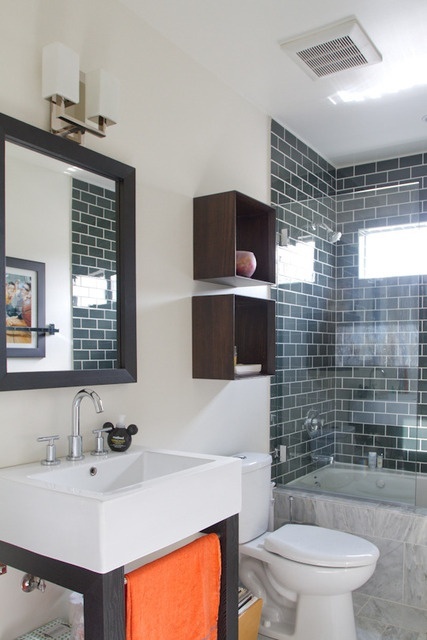 Nothing wrong with a little open shelving in this house…. 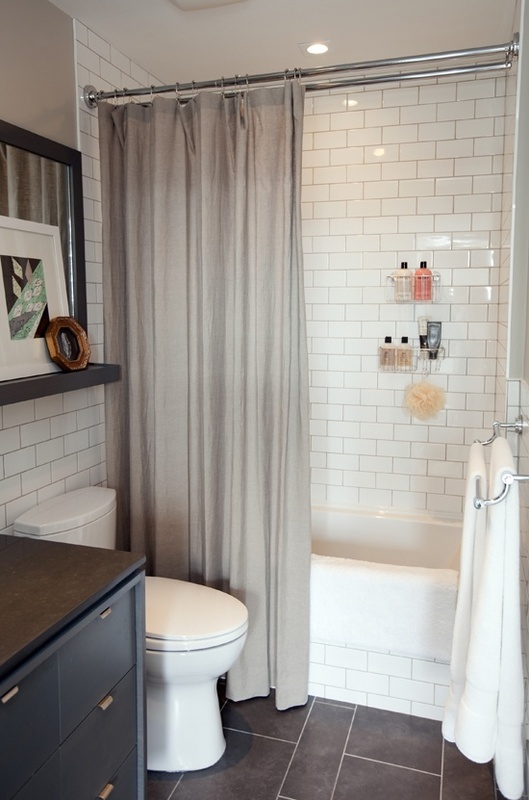 This project is very similar to the shelf we built over the door to our master Bedroom last year…….and visually mimics the Ikea Lack shelves that we attached to the side of the cabinets over the washer/dryer. We love consistency in this house………. Here’s the space between the wall mounted cabinets. About 30 inches. We started with a few scrap 1X2s cut to fit the shelf. 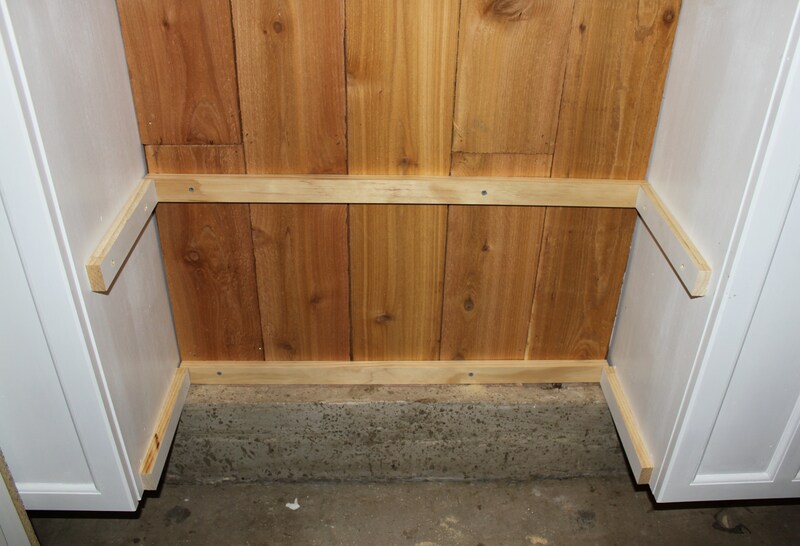 Using a level, we then screwed them to the cabinet sides and wall. Right into the studs. This will support the weight evenly. If we just did the sides, eventually they might sag in the middle. 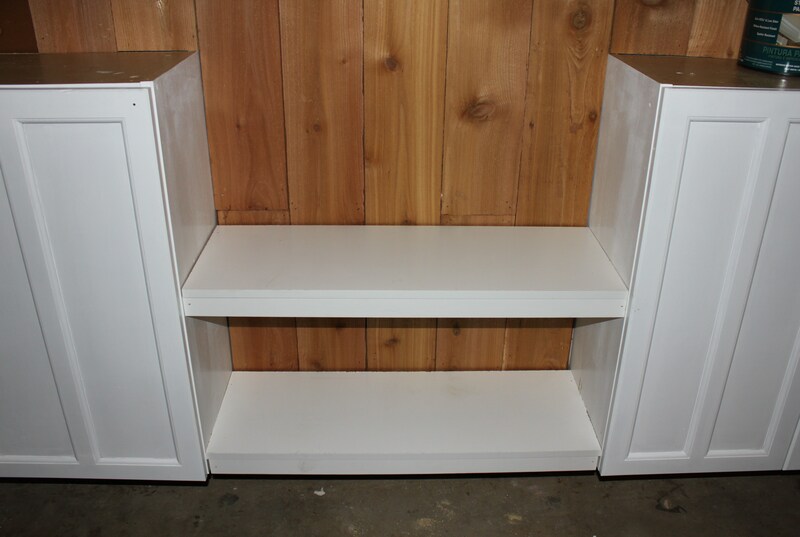 For shelves, we hacked down 2 of the old laminate shelves that used to hang over the washer/dryer. 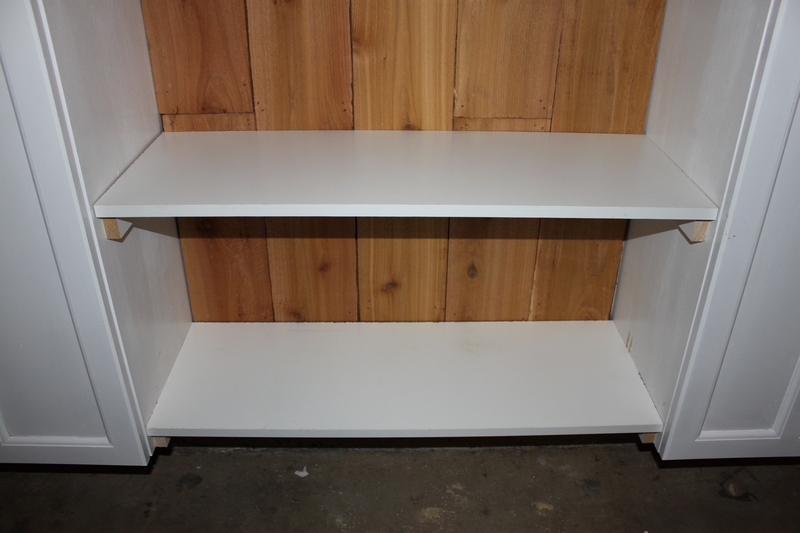 Laminate surfaces are great in a garage because painted shelves would just get scratched with all the action. I’m really glad that we could reuse the older shelves. They got everything that they needed to survive from buffalos (technically Bison, but I digress) ……..food, clothing, tools, weapons and even housing. Not a single little part of the animal was wasted. It’s very possible that the Native Americans were the first hoarders. Added a couple of 1X2 strips to the front just to make them look thicker…and I filled in the cracks and nail holes with white kitchen/bathroom chalk. See where this is headed now? 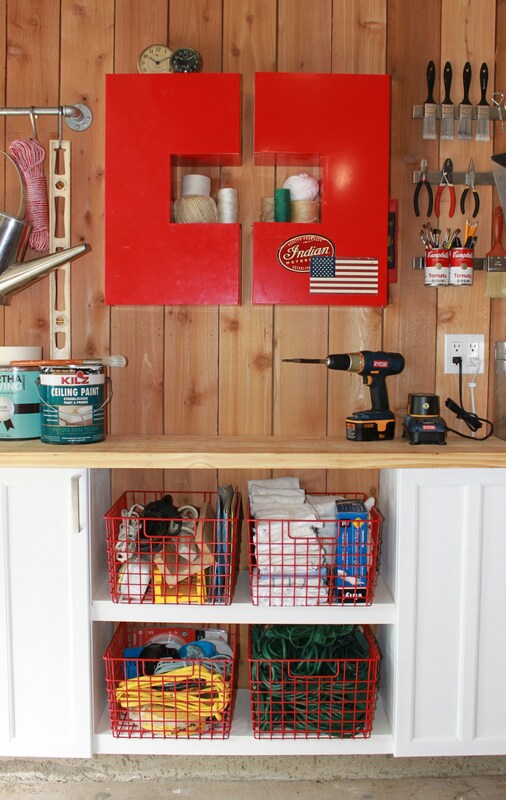 Great place to wrangle all those oddball things that we need in the garage; extension cords, electrical supplies, shop towels, and even rubber gloves. Out in the open, but still organized. 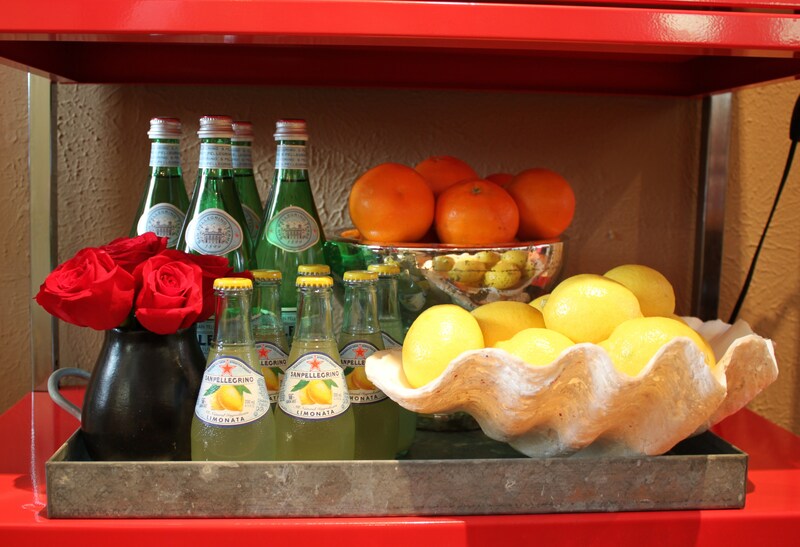 I’m thinking about adding another white trim piece just under the counter top…….. I think I’ll go do that right now. 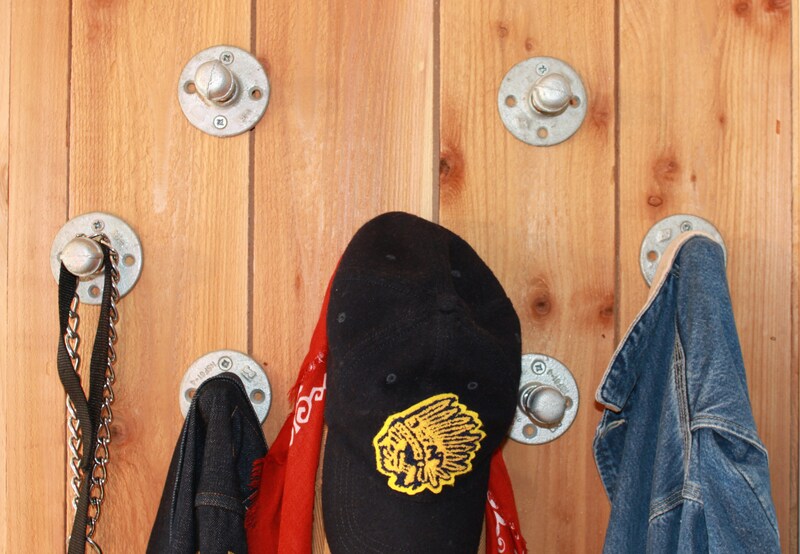 We’ll see y’all later with more of our easy garage organizing ideas.